Despite the fact that the decision was not announced until after 9:00pm eastern time, there were protests Monday night throughout the United States, including in New York, Los Angeles, Detroit, Chicago, Atlanta and Philadelphia. In Ferguson and surrounding cities, police responded by deploying SWAT teams in riot gear, firing tear gas and rubber bullets. Convoys of armored police vehicles rolled through the streets. The roofs of some of the vehicles were lined with sand bags, with marksmen pointing assault rifles at unarmed demonstrators. At least 29 people have been arrested. The mayor of Ferguson called for the deployment of the National Guard—previously activated by Missouri Governor Jay Nixon, who declared a pre-emptive state of emergency last week. CNN broadcast a split screen, showing on one side the police crackdown in Ferguson and on the other Obama declaring, “We are a nation built on the rule of law,” insisting that everyone had to accept the grand jury decision. As police fired volleys of tear gas and rubber bullets, Obama decried “mistrust” of the police, declaring that “nobody needs good policing more than poor communities.” Obama spent a substantial portion of his brief remarks, delivered in his typical disinterested tone, castigating potential looters. “There is never an excuse for violence,” Obama said. That is, in the name of respect for the law, Obama—who is responsible for untold violence all over the world and the destruction of democratic rights at home—gave his stamp of approval to a decision that essentially grants police a license to kill. In his own remarks, McCulloch went out of his way to emphasize the degree to which the entire proceeding was coordinated with the Obama White House and the Justice Department. 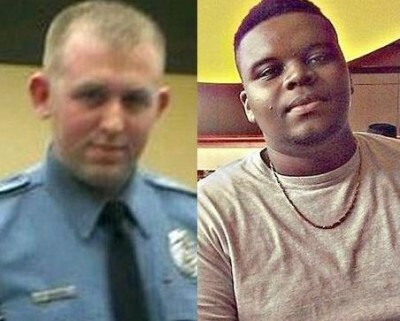 In an extended speech, which included denunciations of the media and public opinion for “speculation” on the facts, McCulloch sough to obscure the basic fact of the case: an unarmed man was shot six times, including twice in the head, at a substantial distance from Wilson’s police car. McCulloch said that “physical evidence” had contradicted the accounts of numerous witnesses, but did not specify what that physical evidence consisted of, aside from what he called a short-range gunshot wound to Brown’s hand. He likewise said that witnesses had indicated that Brown “charged” at Wilson, but that these witnesses had never previously come forward. “Decisions on charging an individual with a crime cannot be based on anything besides a thorough investigation of the facts,” Wilson said. This exercise in self-serving apologetics by the prosecuting attorney served only to underscore the illegitimacy of the entire proceeding. From the beginning, the three-month grand jury process was utilized as a way of bypassing a public trial for Brown’s killer. Under conditions of an actual trial, the facts of the case and the testimony of witnesses would be subject to adversarial proceedings. Instead, the prosecutor, who is known for his connections to police, substituted secret hearings behind closed doors, with evidence manipulated to produce the desired result. In the end, the political establishment decided that no charges could be filed against Wilson—not even the lesser charge of manslaughter. The prosecutors did not get an indictment because they did not want an indictment. The decision not to charge Wilson took place against the backdrop of a growing wave of police violence all over the United States, including last week’s killing of a 12-year-old boy playing with a toy gun in Cleveland, Ohio and an unarmed man in New York City. The decision marked a stand taken by the political establishment that it would uphold the right of police to kill whomever they chose. Like all reactionary classes facing a crisis, the American ruling class decided that any concession to the demands of the population that Wilson be prosecuted would be politically dangerous and serve only to encourage opposition. The ruling and subsequent police crackdown express the breakdown of democratic forms of rule in the United States, under the pressure of the growth of social inequality and the drive to war. The war on terror has come home.